LELAND, NC (WECT) –Hundreds of students raced to the finish line in Charter Day School’s annual “FASTAR” competition. 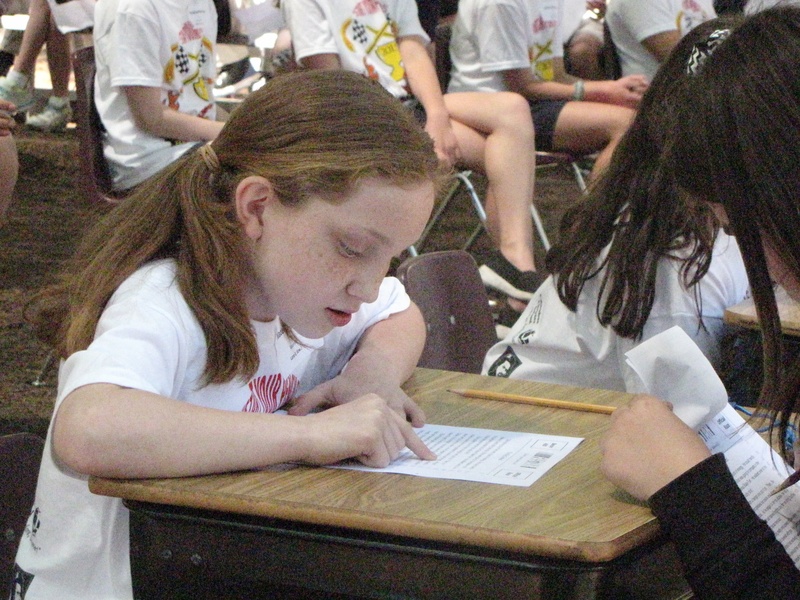 This is the 11th year for the competition where students in Kindergarten through 5th grade compete in math and reading. Students have been preparing since January for the event, taking home packets and completing practice tests. “I got to go fast. Don’t worry about everybody else, just do your own thing,” 4th grader Cole Byrd said explaining his formula while competing. With a crowd of screaming parents, educators and peers cheering them on, the racers must stay focused. “With all of the disruptive noise around them including myself, that they stay focused, and that in itself shows that they understand the material,” 2nd grade teacher Robert Wingett beamed. “Listen, any time parents and educators can team up to find a common goal for education for their children, it’s a win, it’s absolutely a win. Although only students in K-5 participate, middle school students are also in on the fun. They serve as the pit crew helping to cheer on the racers and also serve as time keepers. The winners received large trophies and of course bragging rights. Congratulations to the winners.